Galgano Guidotto was a knight in the latter half of the 12th century. Abandoning his ruthless ways, he became a hermit at Monte Siepi near the town of Chiusdino where he drove his sword into the earth to have a cross to pray at. In that instant, legend says, the earth became one with the sword and could not be removed. The Arthurian legend is thought to have been embellished but this story. 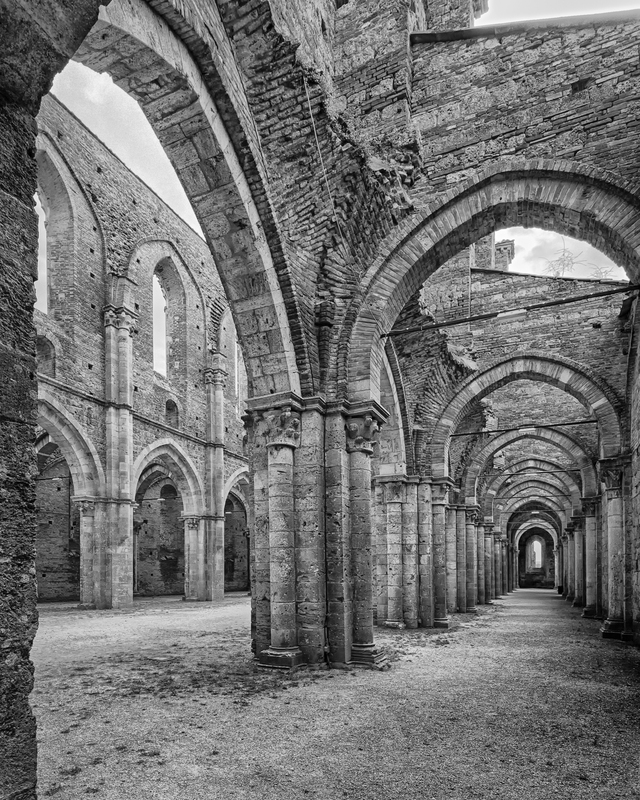 The Abby of San Galgano was built in the 13th century as there were many pilgrims who came to pray at the tomb and sword of the saint.